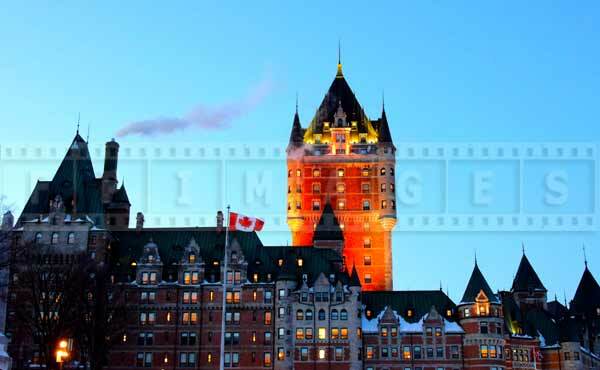 Chateau Frontenac is prominent landmark in Quebec city skyline. 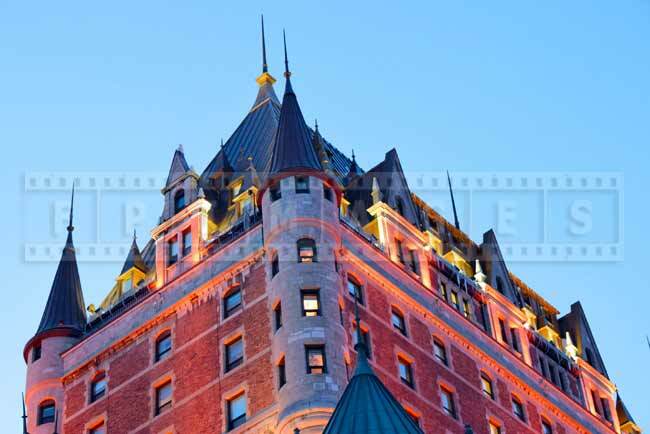 This beautiful and famous hotel is easily recognizable and draws attention of everyone that visits old Quebec, Canada. 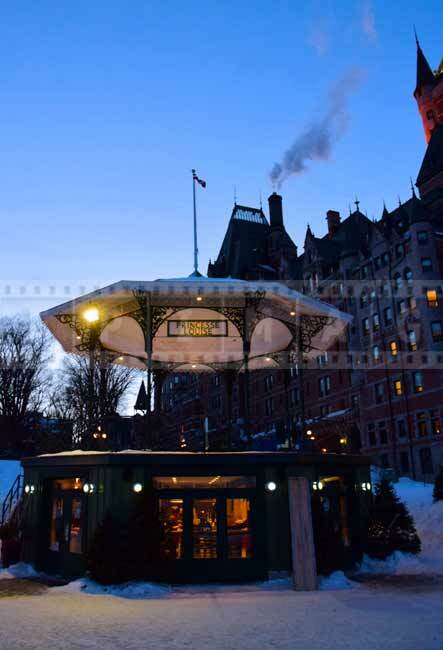 Chateau Frontenac dates back to the age of trains, when train travel was luxurious and the only way to cross Canada in comfort. 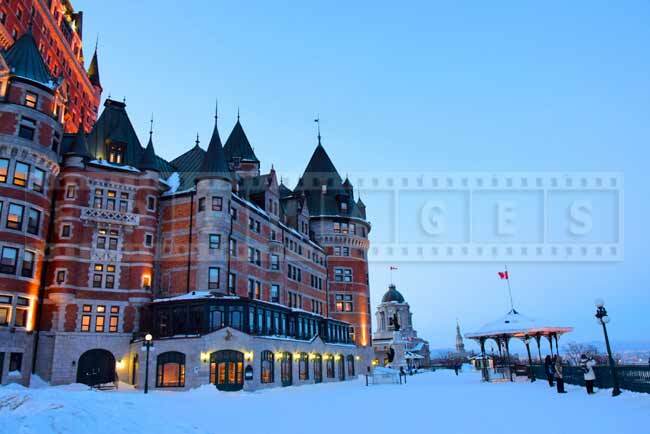 Canadian Pacific Railway built several grand hotels along its tracks. 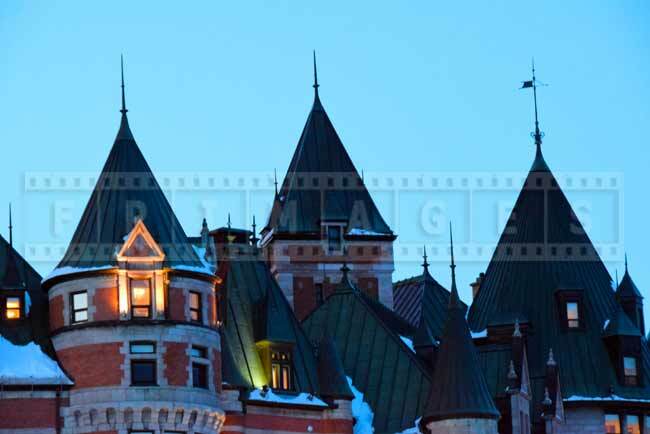 Chateau Frontenac was built in 1893 in chateauesque architectural design. 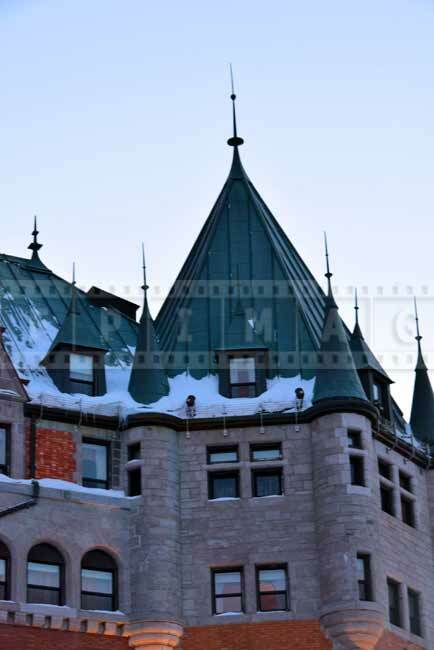 Chateauesque architecture takes its clues from French medieval castle like houses. 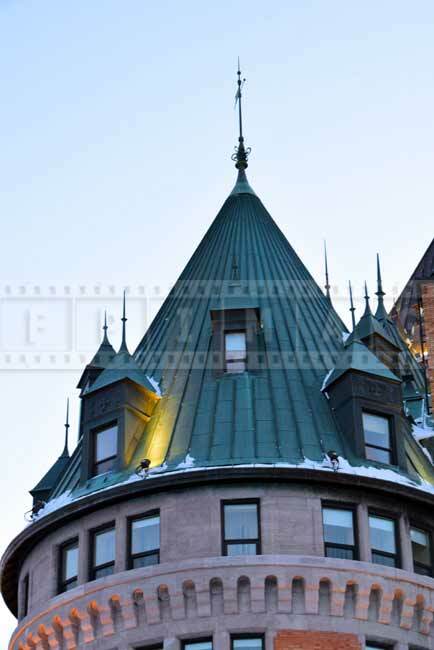 Chateau Frontenac has many towers and spires, elaborate steep roof clad in copper. This famous landmark also has an impression of a fortress with massive stone walls and gated entry to the courtyard and reception area. 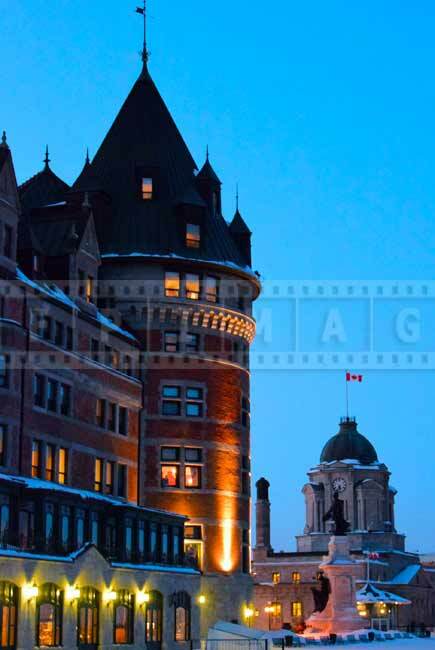 Chateau Frontenac is especially charming and attractive in snow. 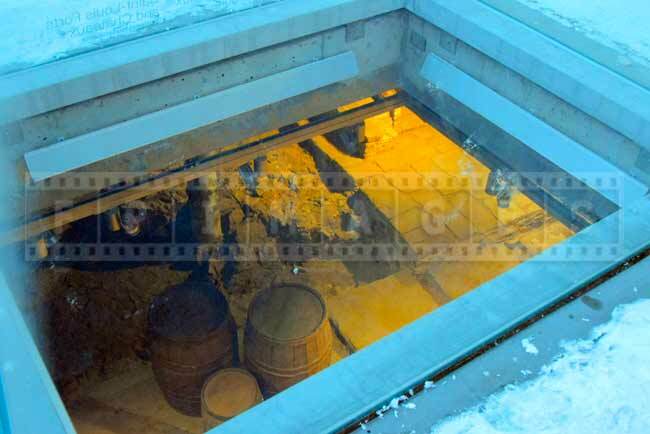 This hotel is a perfect romantic getaway for Valentines winter vacations. 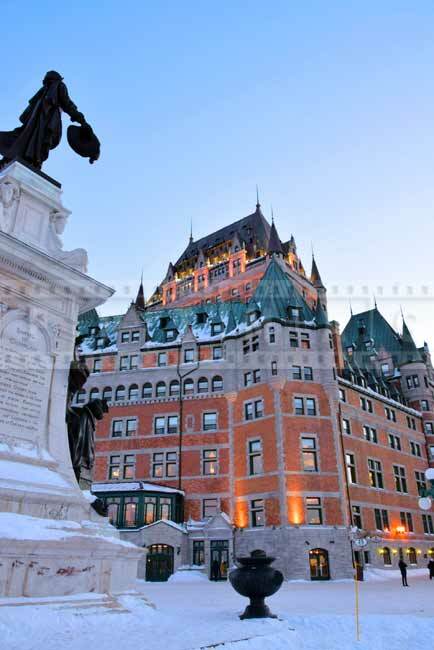 The famous landmark is also conveniently close to major winter activities of Quebec winter carnival. 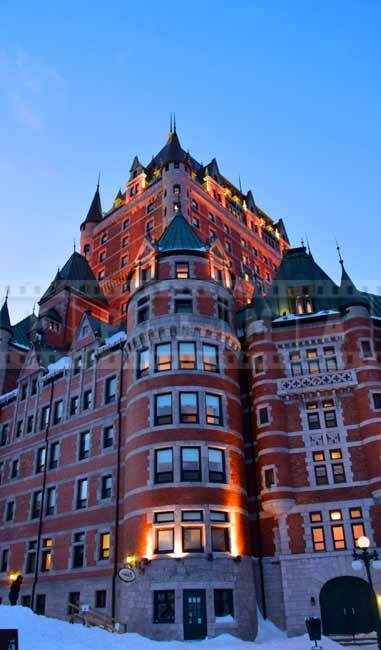 If you plan a trip to Quebec city winter carnival, book Chateau Frontenac well in advance. Despite being pricey all rooms will be taken and nothing will be available for your winter vacation during that time frame. Quebec city skyline is best viewed from the other side of St. Lawrence river. You can take a ferry from Levis to Quebec and enjoy gorgeous and dreamy cityscapes of this old North American city with French charm. 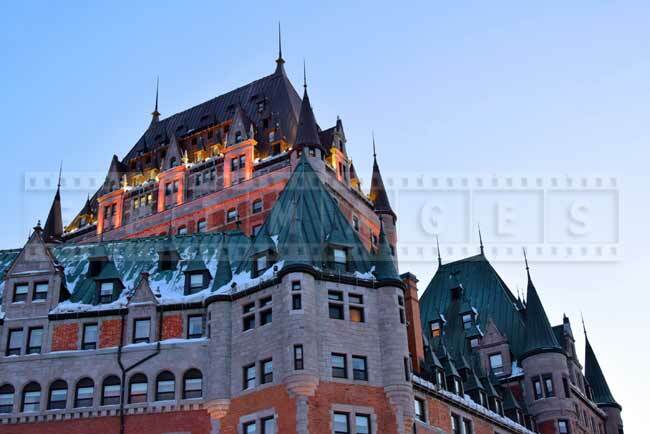 Chateau Frontenac dominates old Quebec and always draws large crowds of tourists. 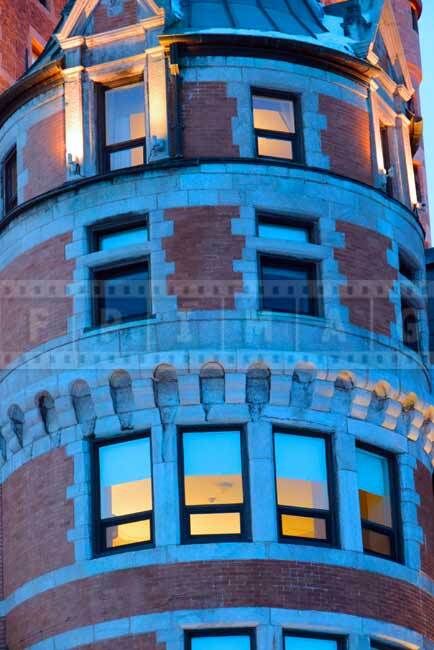 It is considered one of the most photographed hotels in the world. There are lots of things to do and see near this famous landmark. 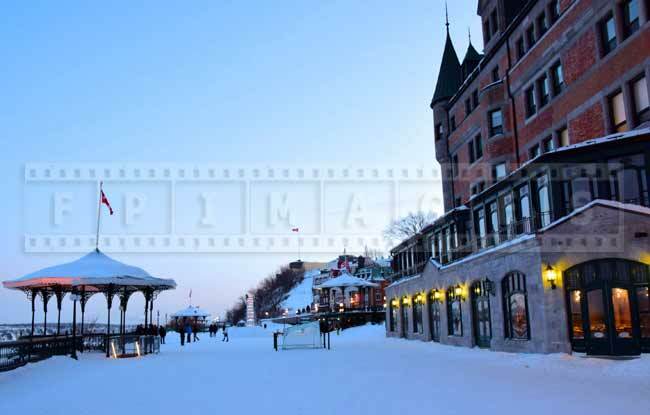 Romantic things to do in Quebec city in winter time around the Valentines should include a walk around Chateau Frontenac. Governor’s promenade overlooks St. Lawrence river and down below you can see the lights of old Quebec Petit Champlain. 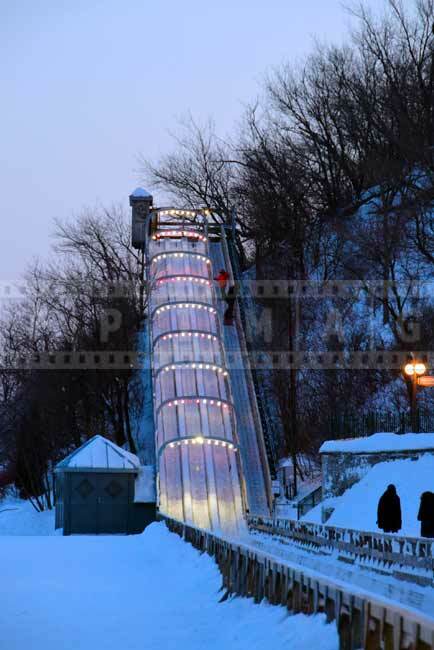 At the end of the promenade closer to the citadel, city sets up a toboggan slide that anyone can ride. It is free and lots of fun. There many restaurants in the area to have a romantic dinner after the stroll. 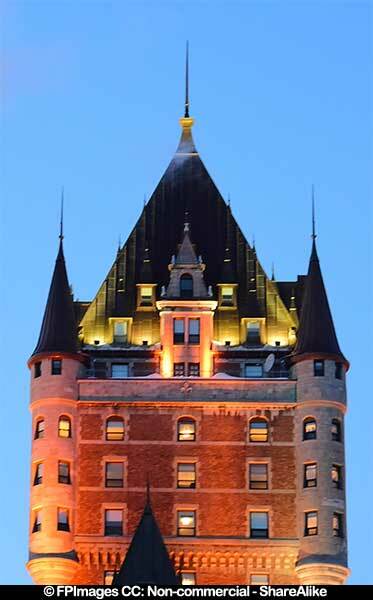 You can dine at Chateau Frontenac itself or try authentic French Canadian cuisine at Aux Anciens Canadiens restaurant.